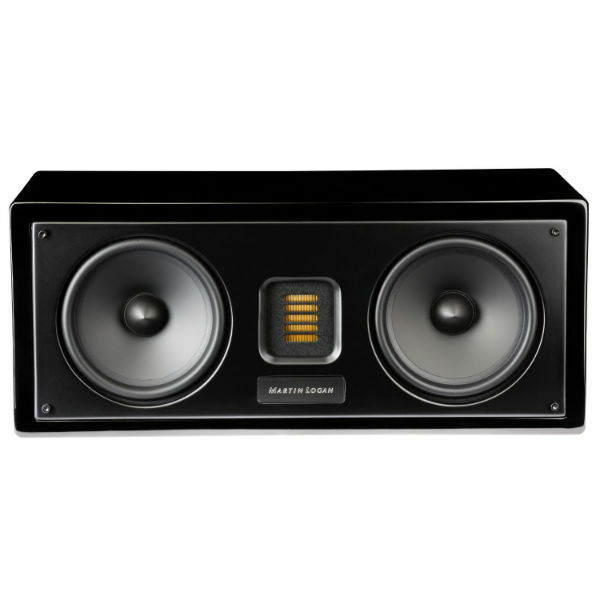 The Motion 30 centre channel speaker is designed to match the elegant aesthetic of the rest of the Motion range and are voice-matched with the entire Motion Series to allow listeners to build a two-channel or home theatre system piece-by-piece. This new speaker features rounded edges, a gently tapered top, and luscious high-gloss finishes. Inspired by MartinLogan’s ultra-high-end electrostatic loudspeakers, the Motion® Series was created to provide stunning sound for your ultimate-performance home theatre or stereo. MartinLogan’s dedicated in-house engineers carefully crafted the Motion Series to create an extremely affordable and compact product line that seamlessly blends their exquisite Folded Motion™ transducers with powerful, compact bass technology. The result is a smooth, refined sound with stunning dynamic range and jaw-dropping clarity. The Motion 30 combines high-excursion, black aluminum cone woofers and low-turbulence, rear-firing bass ports. Motion 30 speakers features 5.5-inch drivers paired with an advanced Folded Motion tweeter, which creates clear, highly dynamic, and precise sound. Premium, five-way binding posts assure a solid connection.